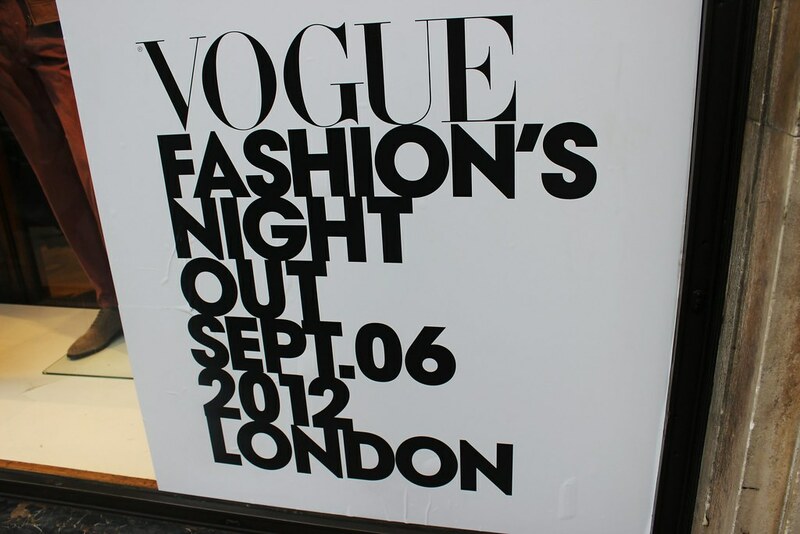 Last Thursday saw London became swarmed with people for the hotly anticipated Vogue Fashion's Night Out - I was one of them. 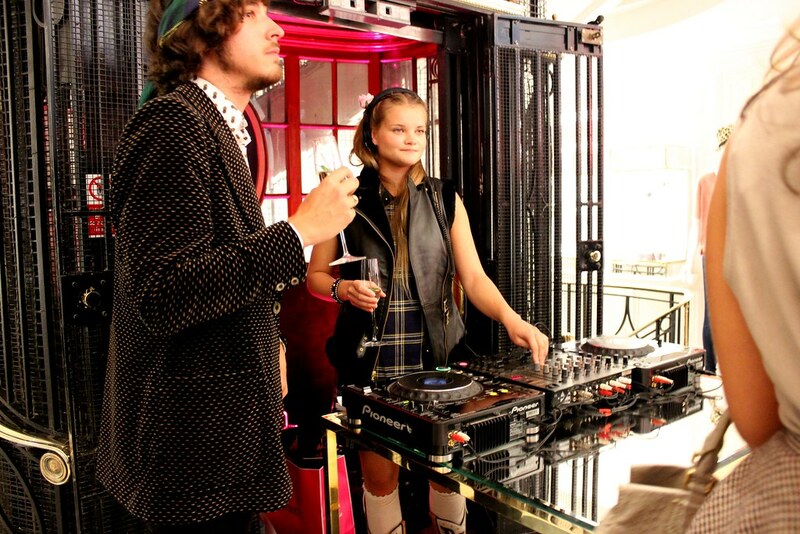 This was my first VFNO and after the fun I had, hopefully not the last. 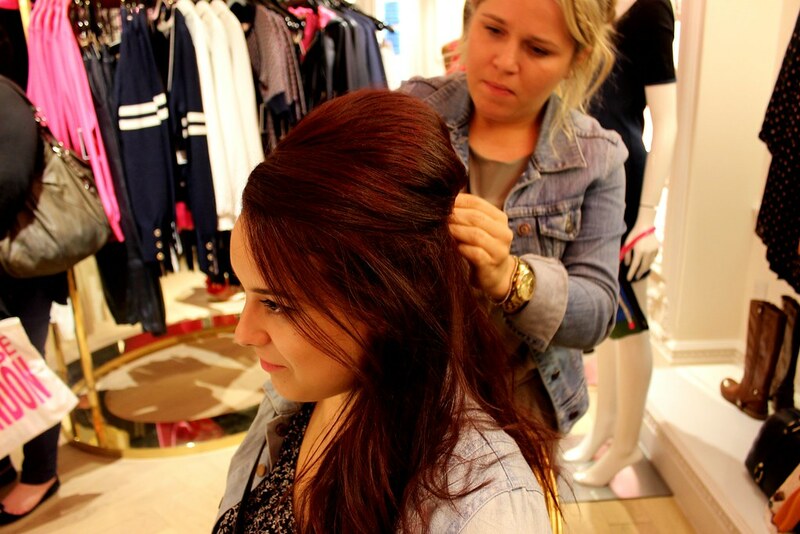 One of the first stores we headed to was Juicy Couture. Upon arrival we were given an aptly pink Juicy Couture goody bag before being greeted with champagne and cocktails. 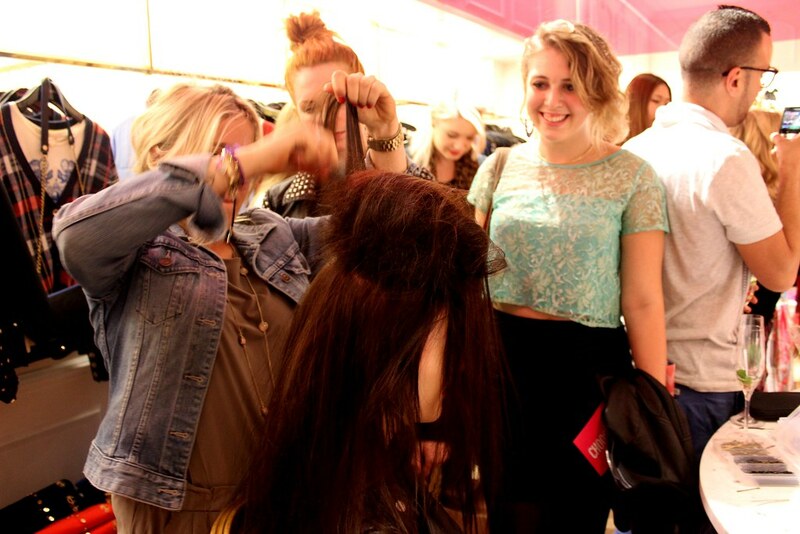 The event took place over all three floors of the store, with downstairs hosting a hair and nail salon. 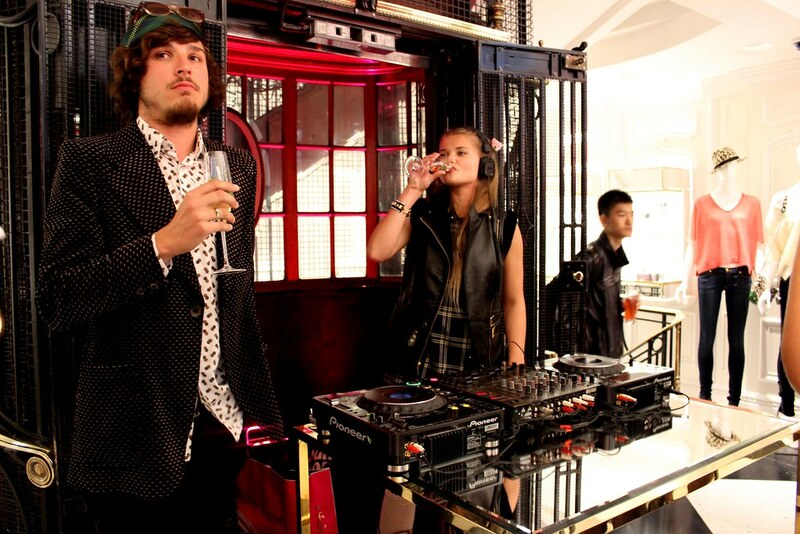 Nail-wise, customers were treated to Juicy Couture branded nail wraps which were very popular on the night. Myself, Sarah and Alex instead opted to have our hair styled, and because Alex's hair turned out so lovely, both Sarah and I had the same done - in a half up/half down beehive. We also had a pink rose - good nod to the brand - pinned in at the back, which was an extra little something to add to the night! 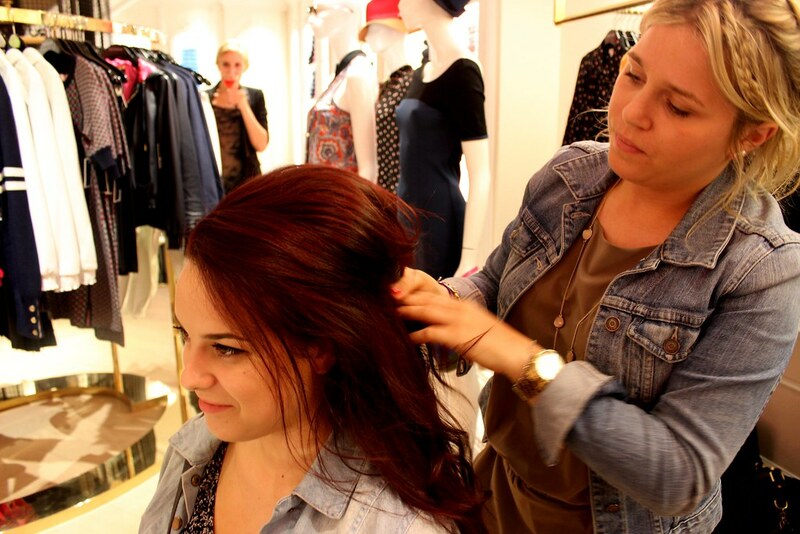 The pop up hair salon created a lot of buzz in the store as people were keen to ask the stylist questions on how to achieve the look. 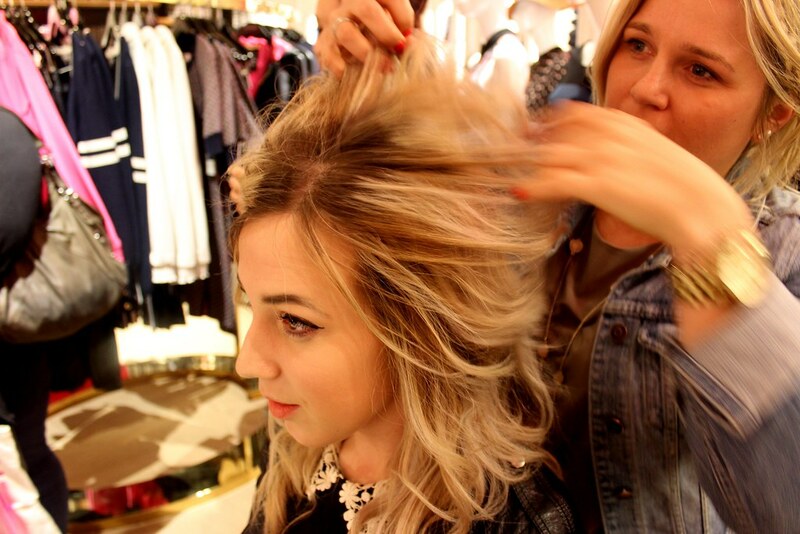 I asked her a few questions myself, in particular what type of brush is best to use, how much should you back-comb each piece of hair and how often you can back-comb you hair without damaging it over time. She recommended a comb (as shown in the pictures) as she said a standard brush would cause the back-combing to drop out quicker. With regards how much you should back-comb, she recommended that you back-comb until about half-way down your hair. 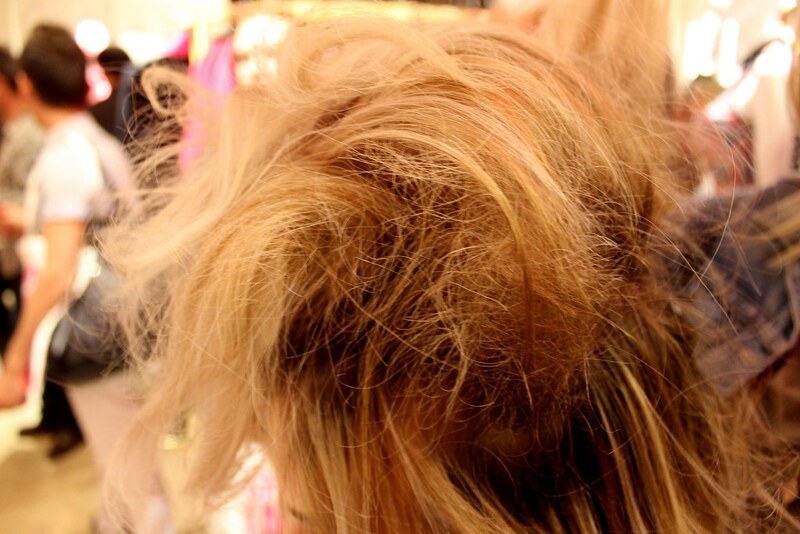 And while I thought that back-combing regularly would damage hair, she didn't seem to think so, providing it was combed out properly. I still try to avoid back-coming my hair frequently, but I was glad to discover that it isn't the worst thing I could be doing to my hair! There was also a live DJ throughout the night and upon leaving, we had a Polaroid snapshot of us taken which was a nice little memento. 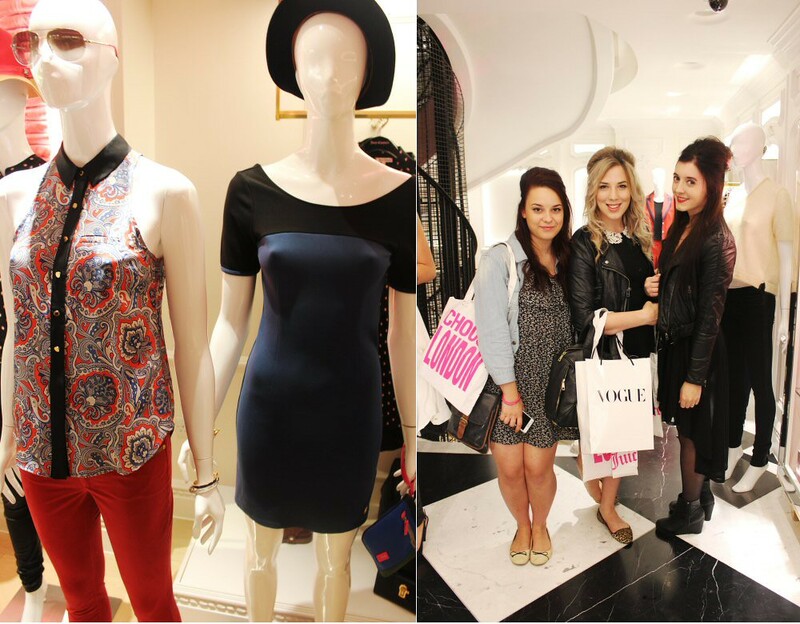 The photo on the left was taken by a lovely Juicy Couture staff member (L-R) Alex, Sarah and myself.